From collecting field samples inside the ocean's frozen ice pack to analyzing satellite images in the comfort of his Stanford office, Kevin Arrigo has been trying to figure out how the world's rapidly thinning ice impacts polar food chains. Arrigo, a professor of Earth system science at Stanford School of Earth, Energy & Environmental Sciences, found that while melting ice threatens to amplify environmental issues globally, ice sheet retreat can provide much-needed food in local ecosystems. Through this work, Arrigo discovered that thinning ice at the poles can alleviate polar food deserts by extending phytoplankton blooms. 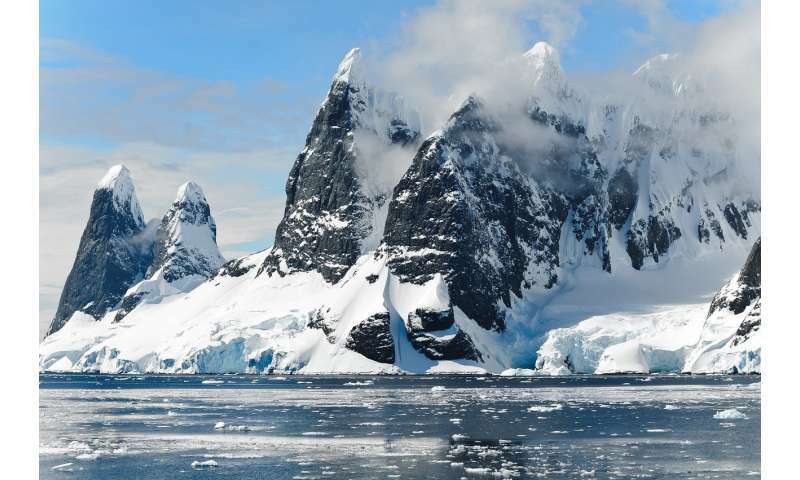 However, the silver lining associated with melting ice cannot make up for imminent threats, such as rising sea levels, associated with unchecked glacial shrinkage. Arrigo, who is also the Donald and Donald M. Steel Professor in Earth Sciences, spoke with Stanford Report about his work on polar phytoplankton blooms and discussed whether recent news about sea ice breaking up suggests we've reached a tipping point. What have you learned about how glacial melt impacts food chains in the extreme environments of the poles? It turns out that when glaciers form, they accumulate particles and dust that contain essential nutrients like iron, on which all living things depend for survival. As glaciers melt, they add nutrients to the ocean and fertilize the local ecosystem. In Greenland and Antarctica, the ocean is short on iron, so melting glaciers make up for the lack of iron. Photosynthesizing phytoplankton are the base of the food web in the ocean and require lots of light and nutrients to grow. Since there is limited iron available to these oxygen-making plants at the poles, iron inputs from melting glaciers allow the phytoplankton to grow faster and more quickly. We call this massive phytoplankton population growth an algal bloom and have found that these blooms dramatically increase the amount of food available to animals in these areas. More food means more growth, which drives up the productivity of the region and creates biological hotspots where the largest concentrations of seabirds, seals and whales gather. You also study the phytoplankton blooms occurring near polynyas – stretches of open ocean surrounded by ice – which you have described as the watering holes of the Antarctic. What do you mean by that? Polynyas are really neat. Polynyas are simply areas of open water surrounded by ice, and generally places you would expect to find ice but you don't. We find them all around coastal Antarctica, and the dominant reason they form is when really cold air comes flying down the sides of the Antarctic ice sheet, they blow into the coastal region offshore and blow away the ice. In the spring when the sun comes up, the phytoplankton in polynyas grow faster than anywhere else in the area. Polynyas tend to be ecological oases that are disproportionately important for their size, where animals congregate in large colonies to take advantage of the highly productive and nutrient-rich waters. It sounds like your research shows an upside to melting glaciers. Is that true? In places where there is still such a shortage of iron, melting glaciers will continue to stimulate production by providing food to a wide range of animals for years to come. Also, because phytoplankton pull CO2 out of the atmosphere, these blooms help cool the planet, which slows down the melting of glaciers. However, none of this counteracts the negative effects of melting ice, such as sea level rise or loss of critical habitat, because it is a small effect that will be swamped by virtually anything we do in terms of burning fossil fuels. So if the bad outweighs the good in terms of ice melt, how can we slow down the process of glacial retreat? The obvious thing to do is reduce greenhouse gas emissions and get CO2 concentrations in the atmosphere down so it stops warming so quickly. The Arctic is warming as fast as it is because there is a feedback that happens between sunlight coming in and Earth reflecting sunlight back, called the ice-albedo feedback. One of the reasons why the Arctic and Southern Ocean are so cold is because they are icy and reflect a lot of the heat they get back out to space. What's happening now is because we are melting more ice, we are reflecting a lot less of the sunlight back to space and the ocean is absorbing heat rather than reflecting it. So the Arctic is heating up at twice the rate of the rest of Earth because normally it's got this ice to reflect the heat back to space. It's almost like a Ponzi scheme. For a while you can keep paying those initial investors, or in this case prevent some ice from melting, but eventually the new investors start to dry up and there's just not enough money – or ice – anymore to sustain the operation. It's the same kind of thing. The ice-albedo feedback is on this trajectory where you get to the point that there is so little ice in the Arctic that it doesn't have the cooling effect that it used to have and it just warms up. Considering the recent news about the Arctic's thickest sea ice breaking apart prematurely, do you think we are approaching a tipping point in terms of rapidly disappearing ice? We may be at the tipping point now, and from the sea level rise perspective it certainly worries me. There's talk about the potential for catastrophic collapse in the Western Antarctic ice sheet – it seems to be melting faster and faster than we keep predicting that it's going to melt. That is certainly a concern. What are you doing to mitigate the impacts of disappearing ice at the poles? We're currently working on a project with the Center for Ocean Solutions to see what are the likely outcomes of melting ice, and the associated increased exploitation of resources, in the Arctic now that it's becoming more accessible. So what are the likely impacts – or at least what are the possible impacts – of increased shipping, increased oil exploration, combined with increased melting of ice, increased ocean acidification, and how will that affect the ecosystems in the Arctic? We are interested in the implications rapidly melting ice has on the populations that live there, that rely on those resources for food every day. What's it going do for bowhead whaling and the salmon fisheries? We want to apply natural capital risk-assessment models to the Arctic that will allow us to identify places that are most at-risk and try to do some assessments by looking at multiple stressors on the Arctic to see if there are leverage points in the system where we can actually make a difference.